Mr. Gardner along the Ganges while shooting “Forest of Bliss,” a visual poem about life in the holy Indian city of Benares. 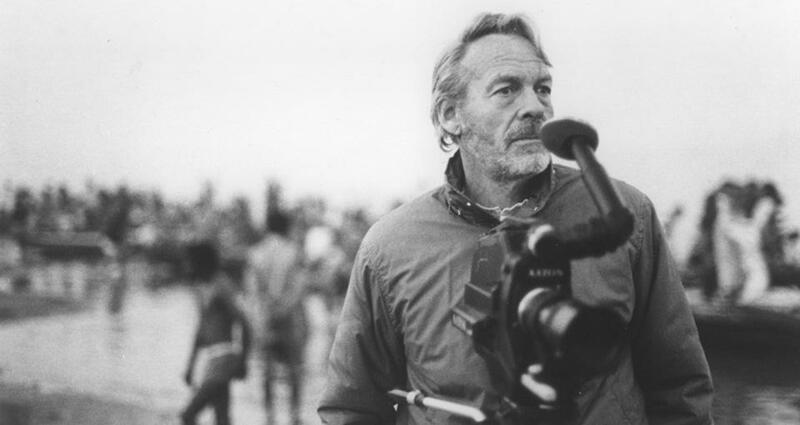 On that expedition and over the next half-century he reinvented the art of ethnographic films, those documentary studies of faraway people and their cultures that usually were dreary and dry when Mr. Gardner arrived on the scene. Mr. Gardner, who cofounded what is now the Harvard Film Archive and was a great-nephew of Isabella Stewart Gardner, died of complications from heart ailments June 21 in Massachusetts General Hospital. He was 88 and lived in Cambridge. He influenced generations of documentarians and academics through some two dozen films, his teaching at Harvard, and work with the Film Archive, and with “Screening Room,” a series of 90-minute programs on independent filmmaking that he hosted on Channel 5, WCVB-TV, from the early 1970s into the ’80s. “Robert Gardner was a major mentor for me and many of my colleagues,” said Bruce Jenkins, former director of the Harvard Film Archive and now a professor of film, video, new media, and animation at the School of the Art Institute of Chicago. Expeditions for documentaries took Mr. Gardner far from the life of privilege into which he had been born. He traveled to Ethiopia, Nigeria, and Kashmir, to Barcelona and Bogota. The early trip to Netherlands New Guinea, which is now part of Indonesia, remained one of his most significant, however, and not just because it produced his first major film. Joining him on the trip was the writer Peter Matthiessen, who drew from the experience for his 1962 nonfiction book “Under the Mountain Wall.” Also with them was Michael Rockefeller, the 23-year-old son of Governor Nelson Rockefeller New York, who disappeared while traveling to a different part of the country and was never seen again. “His response to the world into which we all fell like so many Alices in Wonderland one fateful year was so rapt, so earnest and wide-eyed that I sometimes marveled at the extent of his amazement,” Mr. Gardner wrote of Rockefeller in “The Impulse to Preserve – Reflections of a Filmmaker,” a luminous 2006 book drawn mostly from journals he kept while making his films. Born into one of Boston’s most affluent families, Robert Grosvenor Gardner was the youngest of six children and grew up in the Brookline house that had been the home of Isabella Stewart Gardner. “The way he grew up was astounding and doesn’t exist anymore,” said his wife, Dr. Adele Pressman. Among his cousins was the poet Robert Lowell. “When I walked away from watching ‘Dead Birds’ I seemed to stagger inside myself,” Lowell wrote. “Today I am still jarred by it and still trying to understand the guilty significance of what it tells us about ourselves.” Mr. Gardner was a pallbearer at Lowell’s 1977 funeral. Mr. Gardner graduated from St. Mark’s School in Southborough and from Harvard College, but like his sister Isabella, who was a poet, he sought a life that would let him step away from family expectations. During far-flung travels he “felt liberated being outside his fear of familiarity, because that was so oppressive to him,” his wife said. “I assumed a state of pseudonomadism in the hope of escaping the rigors of a settled life,” Mr. Gardner wrote of his life in the late 1970s, not long before his first marriage, to Ainslie Anderson, ended in divorce. They had three children: Stuart who now lives in Santa Fe; Eve of Natick; and Luke of Stamford, Conn. In 1983 Mr. Gardner married Pressman, a psychiatrist. They had two sons, Caleb of Cambridge and Noah of Los Angeles, and she accompanied him on trips for films. Mr. Gardner “was first and foremost an artist, and he approached his whole life in that wonderful way, and I think he gave all of us kids his aesthetic sense,” Caleb said. In addition to his wife and children, Mr. Gardner leaves a sister, Rose Cutler of Marion; a brother, Jack of Beverly; and six grandchildren. In an interview with Ilisa Barbash that was reprinted in “The Cinema of Robert Gardner,” a 2007 book, Mr. Gardner took stock of a career still in progress and found reason for optimism in what he had seen in documentary subjects that ranged from what he once called “the last practicing Stone Age society” to the Barcelona studio of artist Sean Scully and the Boston Marathon.